Northwestern's ninth president, Greg Christy has a collaborative, team-oriented leadership style, warm relational skills, a strong Christian faith, and the ability to work with others to form vision and build support for the mission of NWC. Under his leadership, Northwestern has developed new strategic and campus master plans and adopted new mission, vision, diversity and Christian identity statements while adding a number of academic majors and launching online and graduate programs. Several campus improvements have been made during his tenure, including construction of the $24.5 million Jack and Mary DeWitt Family Science Center in the fall of 2018 and the $14 million Jack and Mary DeWitt Learning Commons in 2013; renovations in the Rowenhorst Student Center, cafeteria and Ramaker Center; and construction of the Juffer Athletic Fieldhouse and North Suites Hall. Christy is past-chair of the Great Plains Athletic Conference's Council of Presidents and serves on its executive committee. He also serves on the executive committee for the Iowa Association of Independent Colleges & Universities as chair of its marketing committee. Before coming to Northwestern in 2008, Christy was a senior executive at Dakota Wesleyan University in Mitchell, South Dakota, for 12 years. 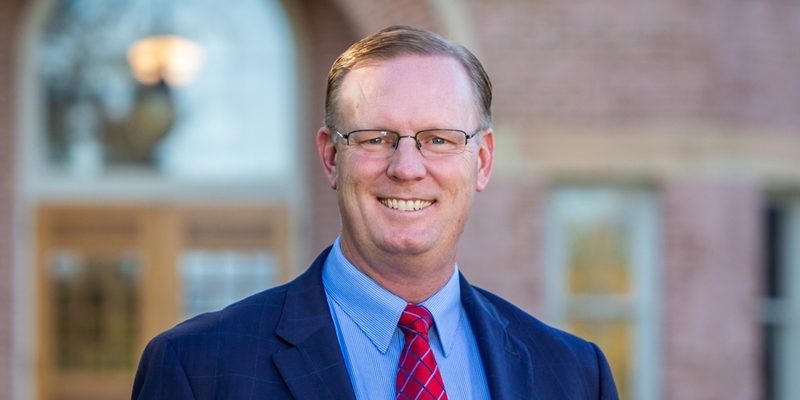 While DWU’s vice president for institutional advancement, he led a nine-member staff in the successful completion of a $40 million capital campaign, which included building the George and Eleanor McGovern Library and Center for Leadership and Public Service. Christy previously worked on the staffs of South Dakota State University and Iowa State University. A native of Ottumwa, Iowa, he earned a bachelor’s degree in management from Simpson College in Indianola, Iowa, and a master’s degree in physical education and sports management from Western Illinois University. A lifelong fan of the St. Louis Cardinals, Christy is a 7-handicap golfer, a tenor who enjoys singing on church worship teams, and a self-described newspaper junkie. He and his wife, Michelle, to whom he has been married for 27 years, are members of Trinity Reformed Church in Orange City. They have three children: Ryan, 24; Madalyn, 21; and Kyle, 17.